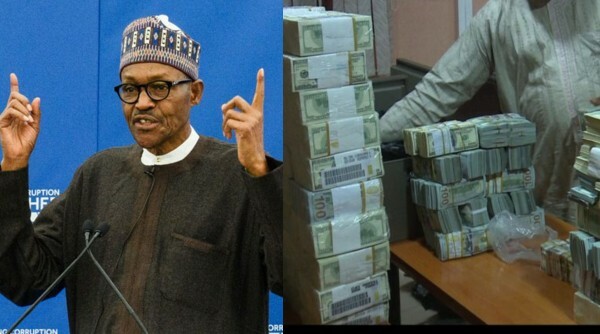 The Presidency has reacted to reports of President Buhari, reportedly using recovered loots to fund his re-election, while also using the anti-graft agencies to muzzle his political opponents. Special Assistant to the President on Justice Sector Reform, Juliet Ibekaku-Nwagwu, who spoke on behalf of the Presidency on the recovered loots debunked the rumor, and further stated the President remained focused and would not allow any perception stop him from fighting corruption. “How will he use the looted funds for his re-election? In this country, it is the Appropriation Act which appropriates what should happen to any money that comes into Nigeria or money generated by revenue agencies; that is very clear. “You know that, now, we have the Treasury Single Account and any money that goes into the Federation Account cannot come out without what we call obligated money. “The money would have been obligated possibly by a ministry because it has set a budget for what it wants to do and all those monies that are obligated, you cannot take them out without showing to the government or to the ministry or the permanent secretary where the money is going to. “Let me say, every effort has been made by this government to ensure that there is a clear procedure through which government activity can be funded and that you cannot just wake up, take money from the TSA and walk away with it. “The Federal Government just passed an executive council memo where it stated that every money spent by government that is above N5m must be published.